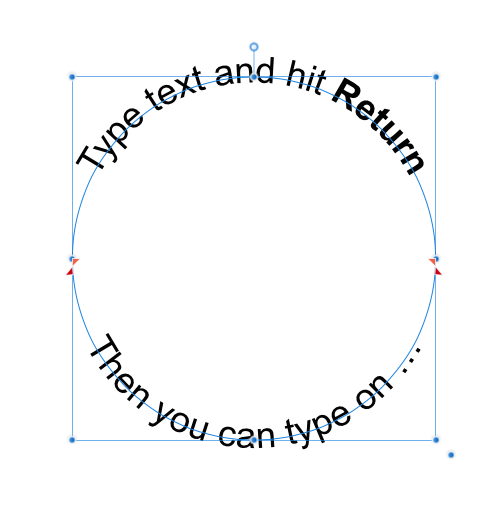 To create text-on-a-path, select the shape you want to use as the path (a circle in this case), change to the Artistic Text tool and mouse over the circle until the cursor changes to a "T" with a small wave below. Then just click and start typing. 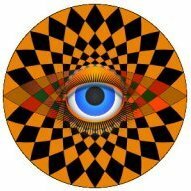 Horizontal plane? Please explain so we can try to help. Your example does not seem that its something AD can't already do. 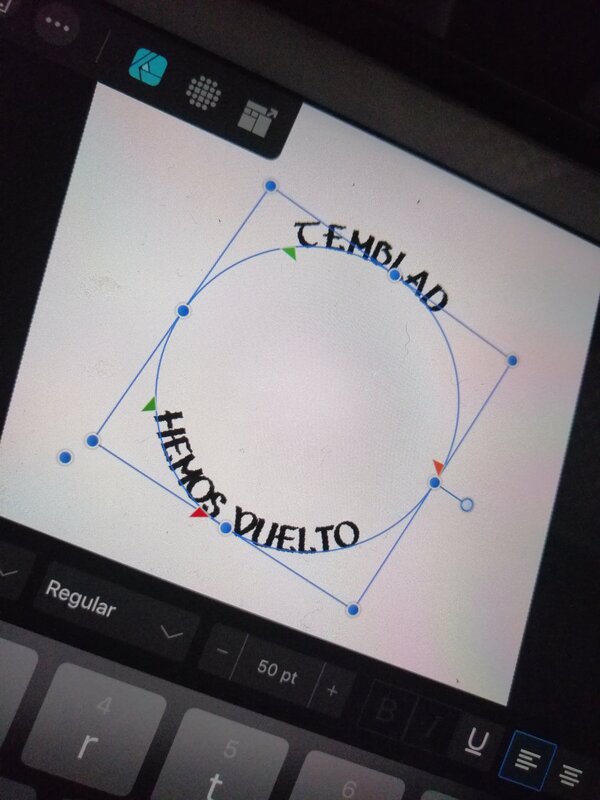 You can also select the circle and use Layer > Convert to Text Path. This will place the red arrows so that you get two semi-circles, one for text above and one for text below, without having to move the arrows by hand.  Use Return to split the text as A_B_C says. You will probably want to use centred alignment, and use the control in the context toolbar to adjust the vertical position of the text below so it matches. Hello, and if i want do a text in perspective or with effects, what can i do? just like pic. Hi MEB or other - I just got Affinity 1.6.6 and I'm trying to do this text-on-a-path with a circle as per Vimeo example, but I get no "~" symbol when hovering on the circle (after clicking artistic text) to activate the text input, nor do I see, from the other example, any Layer\Convert To Text Path menu....I only see Convert To Curves. What gives? Thanks. Welcome to the Serif Affinity Forums, @JT101. It sounds as though you're using Affinity Photo. The 'Text on a Path' feature is only available natively in Affinity Designer, but you can use the file attached to this post to work around that restriction. maybe the attached file will help, just copy and paste the text. ....a) it's not text, it's a binary (when I open it in Notepad anyway), and b) paste it WHERE? Complete info please!!! hi Alfred, never mind, I get it. It's an Affinity file...got 'er working, thanks again. I've tried. But I want, the second part of the text, out of the circle too, but not in the same direction, so the same reading direction as seen in the picture attached. What am I not doing well? If the bottom text looks like the one on your screenshot, select it and adjust the height of the baseline to push it outside the circle.